When it comes to identity protection, it’s essential that one choose an effective plan to ensure his/her protection on the web, and secure important information, social media profiles, credit data, and financial transactions. LifeLock is a product that would offer you easily comprehensible identity theft protection services Founded in 2005, the company is a well-known American web protection provider, and is listed among most commonly purchased services in the nation. LifeLock which began as an identity theft protection company has now expanded its ventures to credit monitoring and simulation and consumer risk management. How does it suffice the needs of its consumers and whether the promised services are effective enough as claimed by the corporation? Let’s analyze what LifeLock have in the bucket to offer. LifeLock has divided its services into three different parts, alerts on credit frauds and breach activities, protection against frauds and crimes under your identity, and monitoring and tracking of all your credit activity and credit score simulations. LifeLock has a variety of features that it offers to the subscribers of its services. It monitors the illegal and illicit websites to search for your unapproved and unknown online presence there; tracks your social security number and monitors if it has ever been used without authorization; keep a check on your credit accounts to ensure that no transaction is made without authorized access; and alerts you of any potential breaches and criminal activities that have been committed using your identity. Now these plans under different plans and it’s up to your usage and choice which one you’d opt for. So, the three plans come at different prices with a range of services that may benefit you for your active identity protection on the web. The plans, of course, come with additional tax charges, but the users are offered discounts if they pay for the service for annual access at once. What features are there for you? There’s a long list of that. Firstly, LifeLock tracks your Social Security Number to see whether that number has been used for any illegal or unlawful purpose. It also tracks whether the number is available on any public domain, where it can be subjected to misuse. LifeLock offers you credit alerts, to make you aware of any changes or edition that has been done to your credit report, without your information or access permission to your credit accounts. 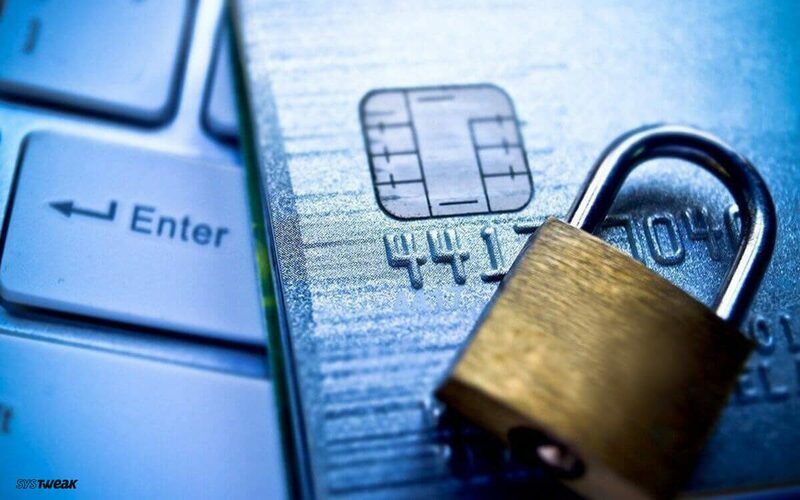 LifeLock also tracks your credit card and bank activities, thus keeping a track on overall finances of your household, and keeping your money controlled and safe from online hacks and theft. The LifeLock identity protector regularly monitors your details and personal information and track illegal domains on the ‘dark web’ to make sure that your details aren’t landed there by any means. If it has, it alerts you immediately. 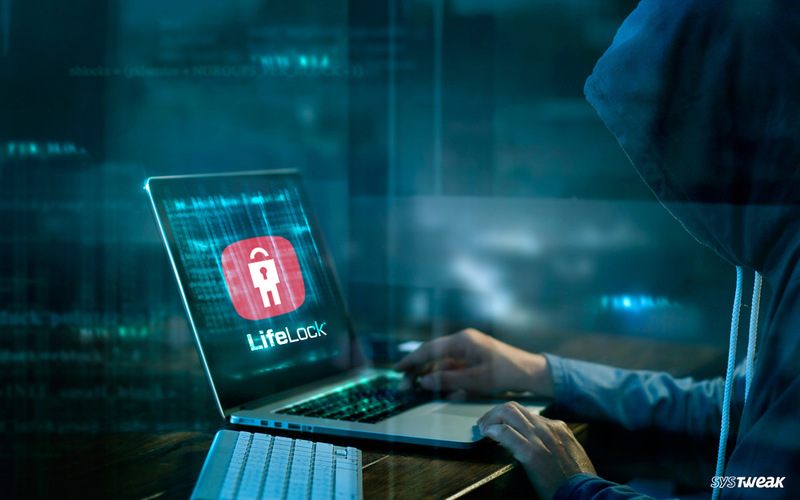 LifeLock also protects your identity by restricting cyber attackers from accessing or duplicating your internet connection addresses, which can grant them unauthorized access to your connected devices. Credit scores and the entitled Bureau reports are also provided to you under LifeLock’s service. There’s also a mobile application of LifeLock, which you can access for portable monitoring of your account and get updates and alerts even if you aren’t available at your desk. LifeLock comes with an insurance and restoration claim amount of up to US$1 million in case you are subjected to breach or identity theft. Alas, there’s a perfect add-on, which is Norton’s yearly anti-malware plan, which can be used for scanning and anti-virus protection on up to five different computer systems. When you read these features, there’s almost that LifeLock has to offer. But there’s a small catch. LifeLock has smartly bifurcated its services into the three plans and the more you want, the more you’d have to pay. Cost Rundown: How LifeLock Divides Its Services? Several features in all the plans are common, for example, the Norton Ant-Virus Plan. Other common features include Social Security Number tracking, credit alerts, protection of connectivity addresses. However, the rest of them either comes with limitations or doesn’t come at all unless you’ve purchased the Ultimate Plus plan. The ultimate plan is approximately $30/ month which would be $360 at the end of your subscription. But in case you go for the basic version, you’d lose your service of dark web monitoring, credit score simulation, financial transactions monitoring, and criminal activity alerts. Moreover, the US$1 million as restoration amount is reduced to $25,000. In case of LifeLock Advantage, you get a lot of services as stated above apart from credit card score and bureau reports, as well as the bank account monitoring services. Again, your restoration amount is deducted to $100,000. LifeLock is using an optional pricing tactic, where it is luring consumers towards premium services and charging additional costs for the same. But is it worth it? LifeLock has a lot to offer, though its prices are higher than a lot of alternatives available in the market. There are certain things that are quite comprehensible for users. The first is its interface, which gives direct access to alerts, transaction reports, and scores directly at individual clicks. The updates on fraudulent activities are certain and prompt, which offers you a real-time track on anything that concerns your internet presence and identity. The restriction to public access regarding your information tends to keep you off vulnerabilities and protect you from harm and information abuse. Plus, the additional Norton protection and Mobile application are perfect add-ons to make it worth. For the people with budget constraints, LifeLock may not be the best option available. LifeLock is only effective and a complete package if you are able to pay $30 a month for its Ultimate Plus plan. While Standard plan is not capable enough to be a real identity protector, it would not be wise to pay $20 a month for the Advantage plan if you’re losing the major features. In terms of services, apart from the infrequency in credit reports, LifeLock doesn’t disappoint and can be a good tool to ensure both identity and PC protection. Go for it if you’re in for the Ultimate Plus plan. Else, you should find an alternative to save you both cost and loss of features.